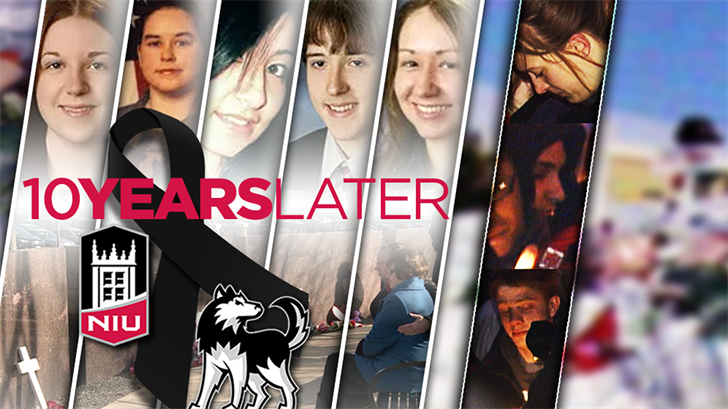 February 14, 2008 a gunman breeched Cole Hall on the campus of Northern Illinois University. Cole Hall was/is an auditorium style classroom. Five innocent people lost their lives that day, as well as the shooter. Twenty-one people were injured due to either gunfire or trying to escape the gunfire. I was on campus that day, in the Psychology building. I can remember that day clearly. I can remember my friend texting me and telling me that something was going on. I can remember sneaking out of my psychology class before the lockdown procedure took place, because I couldn’t believe the text that was sent to me was real. I can remember seeing the scared people, the bloody and crying people. I can remember taking strangers home because we were all running together and we didn’t know what was going on. Those memories have not faded. The nightmares are still there at times. February 14, 2018 was the ten year anniversary of the day that person ruined my since of safety and security. And within that time I have been through a lot. But I have also found a wonderful husband, who listens, and allows me to cry, but also, for the first time, lets me celebrate. We have a child on the way as well. We prayed that morning for the five people who died that day in 2008 together, I went to Ash Wednesday services, and my husband then wanted to celebrate our love that night with a shrimp dinner. That isn’t how that day went. On February 14, 2018 there was another shooting. A shooter came in to Stoneman Douglas High School and killed seventeen people and injured seventeen more. This shooter did not take his own life and was arrested. My husband has a lot of personal connections to Florida and we personally know someone who goes to that high school. Hearing that news, after we heard this person was safe, brought back so many emotions. It has been ten years for me, but ten years ago we believed that something might change. Virginia tech had just happened, we had to believe that those in power would realize that something is very wrong with the way that this country treats weapons. But nothing has changed. The students of Stoneman Douglas High school are brave. Braver than I was at 22. These students aren’t allowing their shooting to be forgotten by the media cycle. They are making sure people in power know that there are consequences to their actions. I wish I could have been as brave as they are. I don’t want my son to have to deal with any of this. I don’t want my son to fear going to school. I hate the fact that backpacks with bullet proof shields are sold to students. I support a ban on assault weapons in this country. If I wasn’t heavily pregnant I would be at the front of the line marching on March 24th in D.C. But I will be praying for the marchers, and praying for the people who, like me, still have nightmares about the day the safety of there school was breeched by someone with a gun.